The new comic strips from Europe’s Superhero, Captain Euro, aim to create a deeper connection with citizens and explain the European Union in a fun, more accessible and entertaining way. DE SANTIX® the creative studios producing Captain Euro educational, publishing and licensing for Europe’s Superhero, have launched a regular comic strip now published weekly to serve its growing fan base. 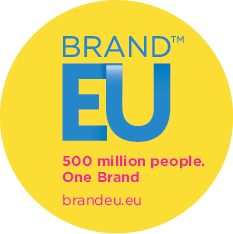 DESANTIX works with BRAND EU in developing content to re-position the brand of the EU in Europe and internationally. Brexit in UK and growing Euroscepticism across the continent shows that Europe has an identity problem. It needs to clarify its brand and purpose to citizens. And it needs to become cool! The weekly comics will continue Captain Euro’s mission to help create a stronger European identity and educate the public on critical aspect of the EU while entertaining them. His comic adventures aim to entertain, educate and diminish Euroscepticism by explaining the key role that the EU plays in the world and show the critical benefits that the EU brings to all EU citizens. The new DESANTIX’s Captain Euro® motion comic strips are mobile friendly and merge animation, video, sound and interactivity with comic storytelling, delivering pure entertainment and a more powerful emotional connection with its audience than traditional comic strips. The full comic archive of Captain Euro strips will include the entire library of comics published, with the ability to find comics based on most popular, newest comics and also the ability to search by keywords. The comic archive features will allow for easier comic binging, the intense need for a Captain Euro® fan or converting eurosceptics to peruse an entire comic library. DESANTIX uses comic journalism (a form of journalism that covers news or non-fiction events using the framework of comics) to produce stories and deal with topics, issues and non-fiction events, explaining complex European Union, societal and global political issues to make them fun and digestible by the general public. The DESANTIX comic universe counts among its characters CAPTAIN EURO, EUROPA, PITHAGORAS 1, SCARIO, MALA, DR. DIVIDER, NINOT, JUNIOR, THE TWINS and LUPO the wolf. 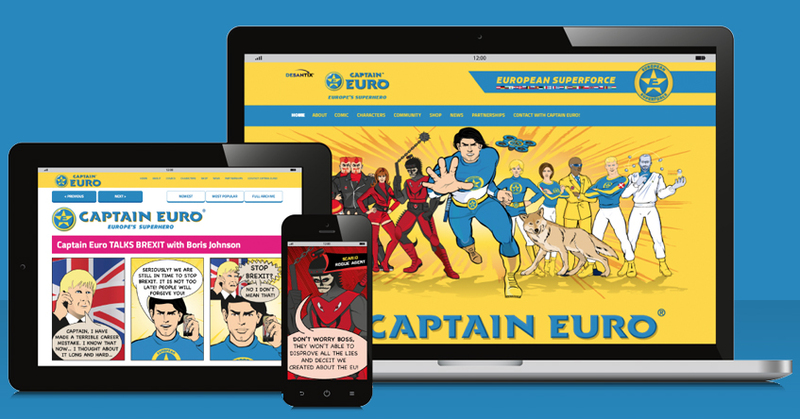 DESANTIX’s Captain Euro® is designed to appeal to both young and older readers, providing specific European identity building content and products produced for each target audience. The entire DESANTIX universe includes multiple comic narratives dealing with non-fiction, real life issues as well as fictional narratives and adventures. 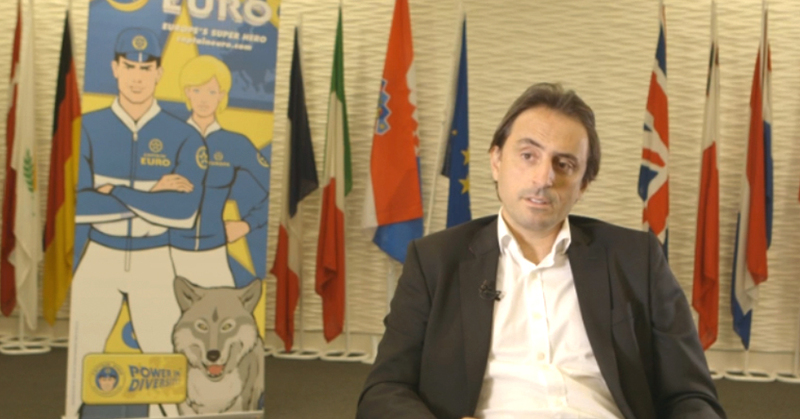 Created by entrepreneur and brand expert Nicolas De Santis, DESANTIX launched Captain Euro® in the 1990s to the worldwide media, who adopted it as Europe’s Superhero. 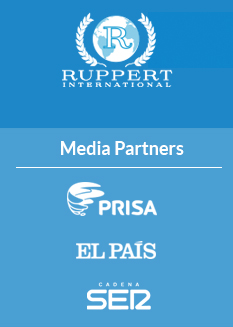 Since then, Captain Euro® has been featured on the cover of the Wall Street Journal, Time Magazine the BBC, CNN and in hundreds of media in 5 continents for over two decades. The media frenzy around the character continues to this day with constant appearances on radio, television, online and printed press. Nicolas De Santis is a global brand expert and the CEO of Corporate Vision, the global consulting firm. His European expertise includes developing brand strategies for European and EU organisations including the European Movement (founded by Winston Churchill), the European Parliament and projects to support the launch of the EURO currency.